Someone has said it right everything about the Gold movie trailer is shimmery “GOLD.” There is a perfect knit of patriotism, passion, hockey and an over-the-top star cast. The movie represents the “golden era” of Indian hockey. From showing the journey of Tapan Das, a youngster who dreams of playing for an independent nation to finally showing what it took to win a gold, the movie is purely a treat to Indian people. The Gold movie shows the trajectories and tragedies that came in the path of Tapan and how with his team support, he turn this living dream into a reality. The movie stellar star cast includes Akshay Kumar, Mouni Roy, Kunal Kapoor, Amit Sadh, Vineet Kumar Singh and Sunny Kaushal. The best part of the movie is its releasing date. Gold releases on August 15 and August 12 is the day when Indian Hockey team won its first gold medal at the Summer Olympic Games in London. The date couldn’t have been planned better. The movie is directed by Reema Kagti, who previously directed the thriller-suspense Talaash. With an outstanding trailer and outshining team, Gold wraps into a bundle of expectations. Followed by true events, Gold movie showcases India’s first Olympic Games’ win as a free nation in hockey. India achieved its first victory when the Olympic Games were being held in England in 1948. India defeated its former colonial masters on their land. Akshay Kumar’s dedication, perseverance and acting made these events come alive on the big screen. For the first time, Akshay Kumar will be seen playing the role of a Bengali babu and you can see him nailing his look and accent in the trailer itself. After watching at the Gold trailer, it seems that the actor is ready to give another hit this year. The film also marks the big screen debut of television star Mouni Roy, is yet another reason why the movie is in news nowadays. She will be playing the role of Akshay Kumar’ wife in the sports drama biopic. The movie star cast also includes Amit Sadh, Kunal Kapoor, Sunny Kaushal and Vineet Singh. As we know that the movie, Gold is set in the late 40’s, hence the teaser captures the essence of the period perfectly. Not only it grips the audience under the umbrella of patriotism, but it also becomes the most-watched teaser of 2018. 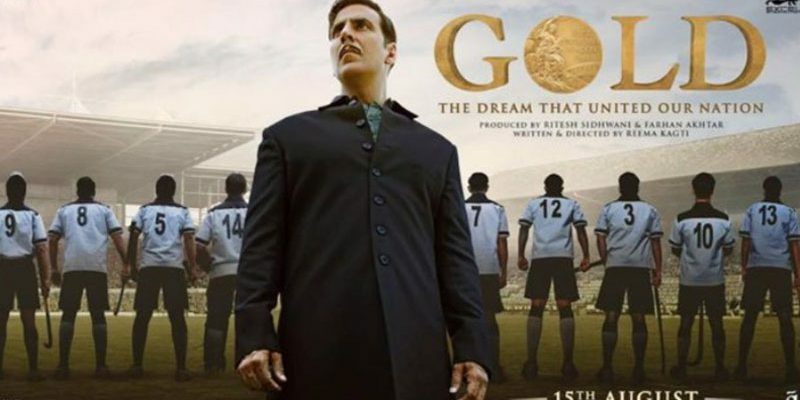 This movie ‘Gold’ is led by Farhan Akhtar and Ritesh Sidhwani and the first association between Akshay Kumar and Excel Entertainment. The director of the movie, Reema Kagti marks the debut of TV actress Mouni Roy. She is seen opposite the evergreen actor, Akshay Kumar. The movie ‘Gold’ is about victory of India in the 1948 Olympic games where Indian hockey team win as a free nation. The film is shot across the UK and India and is helmed by Reema Kagti. Showing the true colors of patriotism and free spirit of India, the film is to release on Independence Day 2018. Under the banner of Excel Entertainment, the film is produced by Ritesh Sidhwani and Farhan Akhtar and directed by Reema Kagti. The song starring Akshay Kumar and Mouni Roy, Naino Ne Baandhi is a love ballad. The song is composed by Arko and sung by Yasser Desai. It is one of the melodious song that is going to be on your lips for a week. It takes back to the golden age era where heroine used to flaunt their side plaits, thick eyeliner, bengali bindi, benarasi saree and white garland. Mouni is undoubtedly a perfect fit for playing the role of a bengali woman. So, if you want to relive that golden era, then go and check out this song available online doing the rounds nowadays. Written and directed by Reema Kagti and produced by Farhan Akhtar and Ritesh Sidhwani. The movie, Gold is ready to hit the movie halls, this Independence Day. The movie will face the clash with John Abraham‘s Satyamev Jayate. The movie will stir the audience with patriotism and shower their spirit for free India. Independence day to be celebrated with great zeal and fervour, Gold is the movie that will get good critic reviews from the critics and the audience. 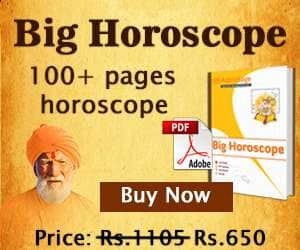 So, if you want to know as what to be predicted about the movie Gold astrologically, then you need to read the Gold movie review till the end. In the movie, Akshay Kumar plays the role of Tapas Das, a young assistant manager who dreams of playing for an independent India. The movie is in news for more than one reason. Mouni Roy is yet another reason to why people show keen interest in this movie. Mouni Roy is one of the most-talked about television celebrity. Not only she is popular for her acting, but she is famous for her dancing too. This glamorous looking bengali queen is also seen in multi-starrer movie, Brahmastra which is produced by Karan Johar and directed by Ayan Mukerji. Ranbir Kapoor, Amitabh Bachchan and Alia Bhatt also play lead roles in the movie. Talking about her acting career, she has received many awards for her acting and dancing. Let’s analyse the movie astrologically and discuss the movie prospects on the box office. Read Gold movie review, the astrological way. So, let’s find out what Gold movie has in store, the astrological way. Gold movie is releasing on 15th Aug 2018. As per the Hindu Calendar, this day is Shukla Panchami. The ruler of this tithi is Moon. The day is considered very auspicious to start any fresh project. 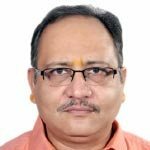 Nakshatra : The day 15-08-2018 belongs to Hasta nakshatra. This nakshatra is ruled by the planet Moon. It is considered most suitable for sports related activities. And, as we know that the film is based on sports related event only. Tithi & nakshatra both are ruled by the planet Moon. Moon rules over our emotions. Hence, the film is bound to shake the viewers emotionally. Astrological parameters have given a thumbs up to the movie’s acceptability by the public. Gold is an upcoming 2018 Indian Hindi-language historical sports drama directed by Reema Kagti and produced by Ritesh Sidhwani & Farhan Akhtar. The star of the movie is Akshay Kumar “ Khiladi “. Let’s find out what the movie Gold has in store numerologically. The numerological value of the film’s name GOLD is 17. Number 17 belongs to Saturn, and is well known for giving extreme results i.e. either very good or very bad. The release date of the movie Gold is is 15-08-2018. The date 15 is ruled by Venus, the planet of glamour & art. Viewers will surely like the artistic description of the sport in the film. The film will be released on the date of independence of India. The patriotic emotions will flow in the favour of the film. The destiny number of 15-08-2018 is 7. This number is in perfect harmony with the destiny number of the producer of the film, Farhan Akhtar. This ensures commercial success too. Astro-Numero Verdict – The movie will create impact in the bollywood and the viewers as well as the Gold movie critics both will appreciate the film. The film will generate not only financial gains but also will be able to sustain the charm for long period of time. Good luck to team the entire team GOLD! We hope you like this review. You will get more information about astrology, jyotish, and vastu related topics on our Youtube channel. So, to get more movie masala and updates, subscribe to our youtube channel AstroSage TV. So, what are you waiting for? Go and subscribe to our Youtube channel.